5th Tree-beekeeping Workshop in Belarus: 4th to 7th of Aprill. We invite You for a great adventure! 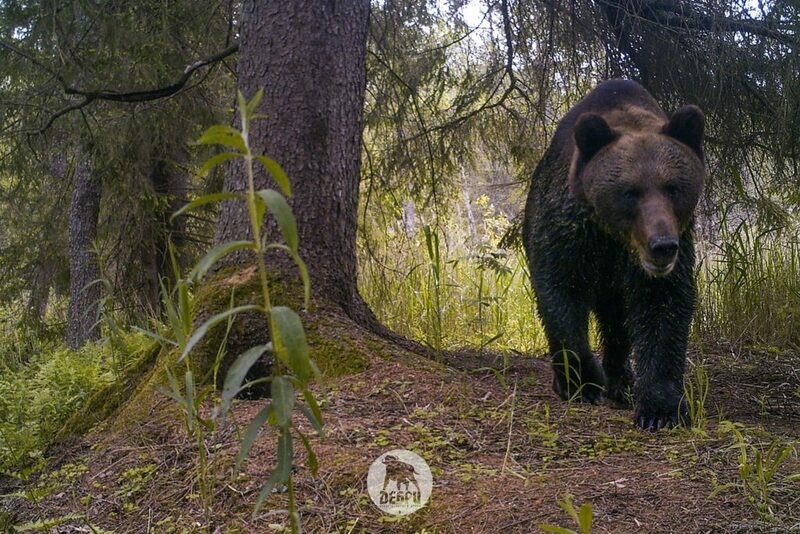 Our workshop would be held for the 5th time in remote area of Naliboki Forest – biggest forest complex in Belarus, located only 90 km West from Minsk. Seams to be far away? No, it’s just 100 from Minsk International Airport. And what’s more important if You arriving to Belarus by air You do not need visa to entry! 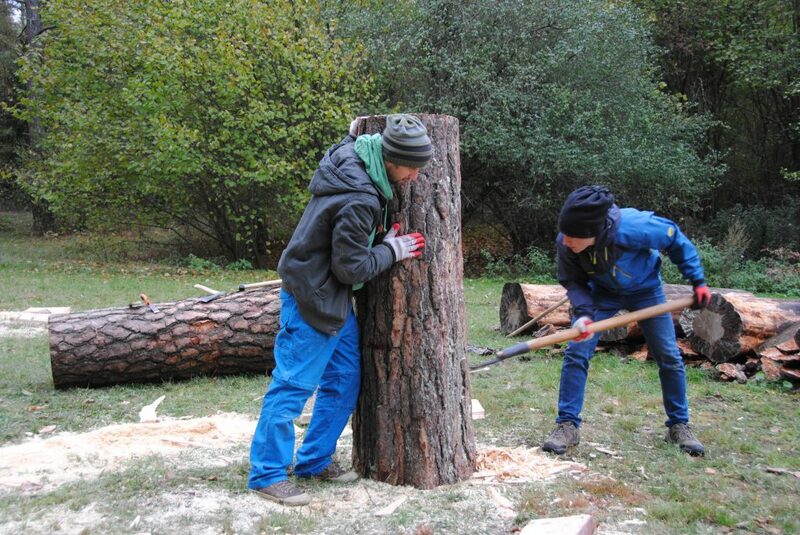 Participant working in pairs using a chainsaw and traditional tools will make an loge hive. The work will be carried out under the supervision of two experienced tree bee-keepers. From Poland and Belarus, both English speaking. The program of the workshop include not only discovering the tree-beekeeping tradition specific for Central and East Europe and gaining skills in log making, learning practical knowledge of hanging them on the trees, attract and keeping the bees in this kind of hives. Also we’d like to show You this beautiful place and wild nature of Nalibki Forest, the biggest forest complex in Belarus. Workshop would be held in the most remote place in this forest on the small island surrounded by swamps and forest, 20 km from closes village and 8 km from closest neighbor. Accommodation conditions are very simple: a house with only 2 big rooms, kitchen and sauna for batch and relax after hard day of work. Only local cushion would be served prepared by local cook at place. We spend there together 3 days, working, learning and exploring the beautiful wild nature of Naliboki Forest. Sleeping bags are essential. We would stay in the place which we renovate in 2018 by ourselves using small donation we use on our crowd-funding project. We invite You for a great adventure! 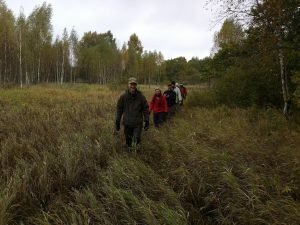 Our workshop would be held form 4th to 7th October 2018 for the forth time in remote area of Naliboki Forest – biggest forest complex in Belarus, located only 90 km West from Minsk. Where together with our tree-beekeeping brothers from Belarus we promoting tree-beekeeping as part of our common heritage, and we share it with You! Participant working in pairs using a chainsaw and traditional tools will make an loge hive. The work will be carried out under the supervision of two experienced tree bee-keepers. One form Poland and one Belarus, both English speaking. The program of the workshop include not only discovering the tree-beekeeping tradition specific for Middle-East Europe and gaining skills in log making, learning practical knowledge of hanging them on the trees, attract and keeping the bees in this kind of hives. 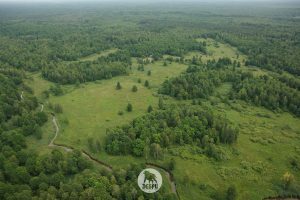 Also we’d like to show wild nature of Nalibki Forest, the biggest forest complex in Belarus. Few expression from last workshop at Naliboki Forest. 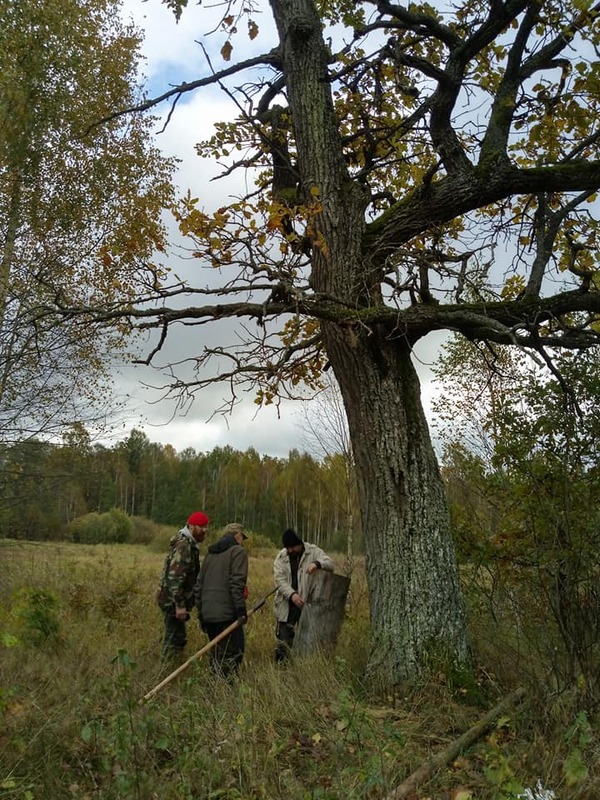 Of course full relation would be published later on, but few information is worth sheering separately – the tree-beekeeping strategy in swampy forest’s of Belarus. Ivan Mulin, our tree-beekeeper from Naliboki forest create and hanged on the tree’s this year about 10 small log hives. Why? 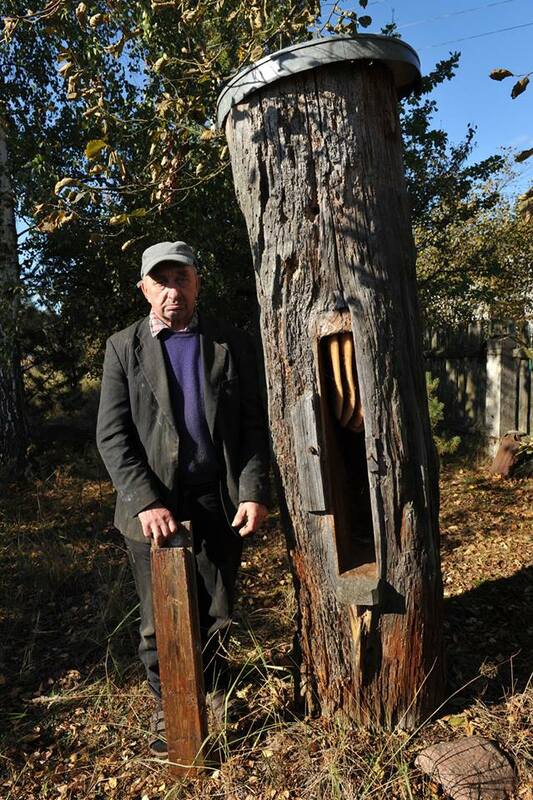 This is an old tree-beekeepers strategy still used by some individuals on Belarus. Where ‚bortnik’ create 2 kinds of hives, one dedicated for honey, and others for swarms. The smaller one are dedicated for catching swarm’s, the cavity of them is lower than standard logs so they make bee’s swarm more often than usual then fly away and look for a new home. They are localized around territory (outside ring) where normal size log-hives are putted on the trees and tree platforms. Of course we talking about area of several square km, where logs and tree-platform are scatter across the territory. On each platform are localizeted up to 3 logs, then some others standing separately on the tree’s. But how to choose a place for placing an log or platform? We invite You for a greate adventure! Our workshop would be held for the second time in remote area of Naliboki Forest – biggest forest complex in Belarus, located only 90 km West from Minsk. 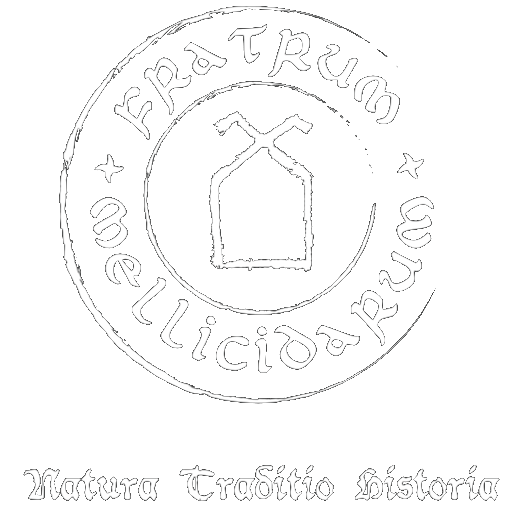 Fratrum Mellicidarum have members there as well, together we showing and promoting tree-beekeeping as part of our common heritage, and we want to share it with You! Participant working in pairs using a chainsaw and traditional tools will make an loge hive. The work will be carried out under the supervision of two experienced tree bee-keepers. One form Poland and one Belarus, both English speaking. The program of the workshop include not only discovering the tree-beekeeping tradition specific for Middle-East Europe and gaining skills in log making, learning practical knowledge of hanging them on the trees, attract and keeping the bees in this kind of hives. 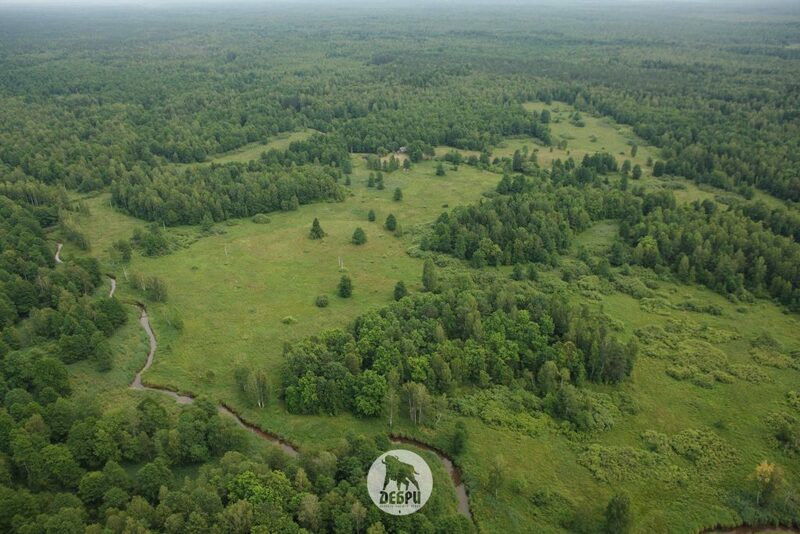 Also we’d like to show wild nature of Nalibocka Forest, the biggest forest complex in Belarus. Workshop would be held in the most remote place in this forest on the small island surrounded by swamps and forest, 11 km from closes village and more than 3 km from closest neighbor. Accommodation conditions are very simple: a house with only 2 big rooms and outside sauna for batch and relax after hard day of work. Only local cushion would be served prepared by local cook at place. We spend there together 3 days, working, learning and exploring the beautiful wild nature of Nalibocka Forest. Sleeping bags and warm clothes are essential! Due to its geographical location, tree beekeeping has played an important role in Belarus since at least the Middle Ages. It has been a trade crossroads for merchants travelling from the north (Varangian or Baltic Sea) to the south (Russian or Black Sea) – or from the Vikings to the Greeks – and from the east to the west, following rivers and trails. Back then, the main export goods were resources obtained from local forests, such as furs, honey and wax. Given the high value of honey and wax, tree beekeeping became a lucrative and independent source of income for the Grand Duchy of Lithuania (GDL; the forerunner of modern Belarus) during the 15th century. 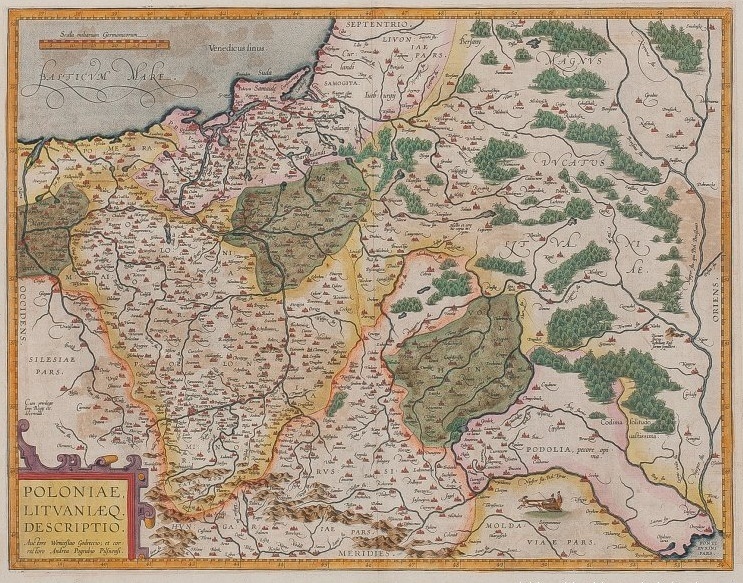 The Grand Duchy of Lithuania joined together with the Kingdom of Poland and was ruled by a common monarch for hundreds of years. The first union in 1386 was sealed with the marriage of the Polish queen and Lithuanian king. The union became official in 1569 and lasted until the end of the 18th century. Together, the bi-confederate state covered an area of up to 900,000 km2, where tree beekeeping was an important part of the economy and social life. The two countries shared and added to their common heritage of ancestors, history, and traditions. The gradual development of financial and economic relations led to the active growth of tree beekeeping and its related crafts and industries. Not only was wax but also honey and mead, in high demand within the whole country, as well as abroad. In 2017 we plan to run three international tree beekeeping workshops. Two will be run in the Augustów Forest, where our organisation has more than 25 tree and log hives. This is one of the biggest forest complexes in Poland and our hub of activity. It is here that we found the remains of tree beekeeping traditions and are working together with the National Forest authorities to revive them. The second place for our workshop is the remote area of Nalibocka Forest – the biggest forest complex in Belarus – located only 90 km west of Minsk. 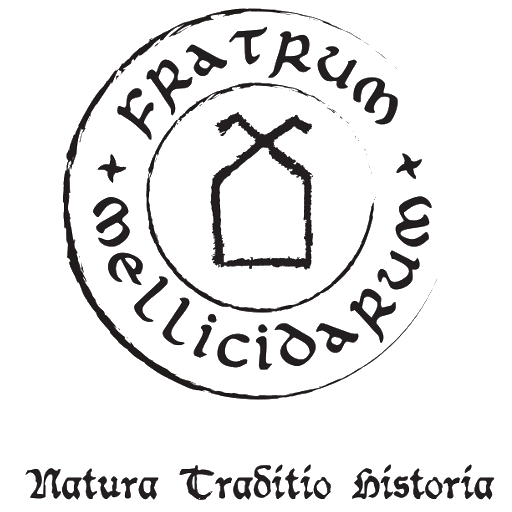 Fratrum Mellicidarum has members on this side of the border as well, showing and promoting tree beekeeping as a part of our common heritage – which we would like to share with you! Our workshops are not only about learning and discovering the beautiful tradition of tree beekeeping or focusing on local specifications and practical knowledge, but also about relaxing and feeling at home in our wild nature. Our workshops also help our organisation’s mission of protecting the local Apis Mellifera Mellifera bee, which lives in the Augustów and Nalibocka forests. All of our workshops are led by experienced tree beekeepers from our organisation: Piotr Pilasiewicz (PL), Ivan Mulin (BY), Paweł Kotwica (PL) and Paweł Mikucki (PL) . We will send you a reply with instructions on how to secure your place by paying a deposit of 100 Euros, either by bank transfer or Paypal. If you’re thinking of organising a workshop at your place, please contact us so that we can help you, supply tools and offer our experience and knowledge as workshop leaders. We start with a traditional sauna on Friday evening and a swim in the Hańcza River. 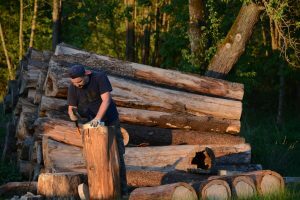 The workshop includes log hive building, using a chainsaw and traditional tools, and the raising of one log hive onto a tree, as well as the first spring inspection of settled tree hives. The work will be carried out under the supervision of two experienced tree beekeepers, Piotr and Pawel (English/Russian/Polish speakers). 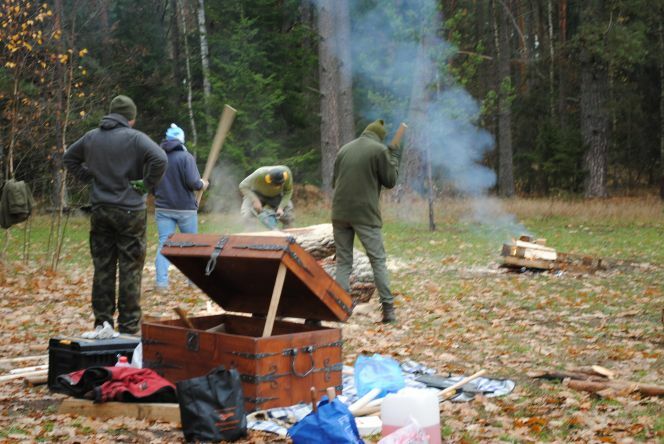 In addition to log hive building, participants will learn about the trees suitable for tree hives, how to choose a suitable place to hang a log hive, how to attract swarms to your log/tree hive, and the basic skills of using the leziwo – the traditional rope with seat used by tree beekeepers in the former Polish-Lithuanian Commonwealth. The workshop will be held at the forest ranger’s guest house Buduk, which is close to Frącki, and within walking distance to our tree hives deep in the Augustow Forest. Cost: 170 EUR / person including accommodation, insurance, breakfast and lunch. 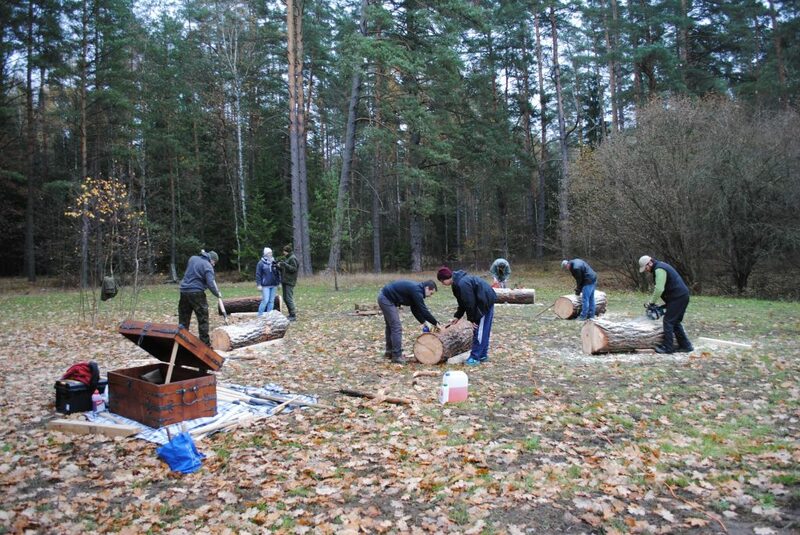 30.03-2.04 1st Tree-beekeeping Workshop in Nalibocka Forest, (Belarus). Participants will work in pairs using a chainsaw and traditional tools to make a log hive out of pine wood. The work will be carried out under the supervision of two experienced tree beekeepers – one from Poland and the other from Belarus; both English-speaking. The workshop program includes discovering the tree beekeeping traditions specific to central Eastern Europe, gaining skills in log making, learning practical knowledge of hanging them in and attaching them to trees, as well as attracting and keeping bees in this kind of hive. We’d also like to show our guests the wild nature of Nalibocka Forest, which is the biggest forest complex in Belarus. 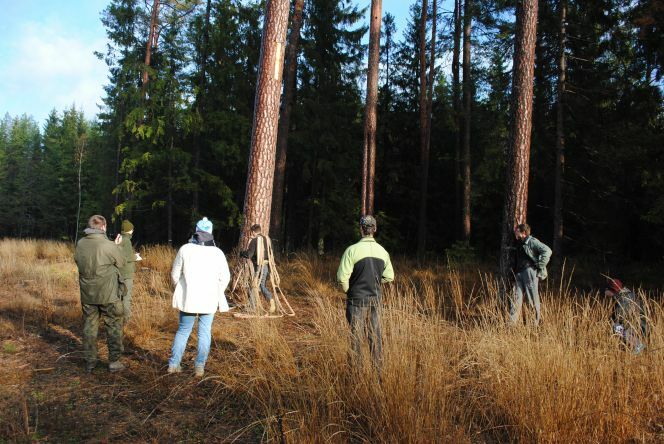 The workshop will be held in the most remote part of this forest on a small island surrounded by swamps and wood, 11 km from the closest village and more than 3 km from the closest neighbour. Accommodation is basic and simple: a house with two big rooms and an outside sauna for relaxing after a hard day’s work. Meals will be prepared and served by a local cook on site. We’ll spend three days together working, learning and exploring the beautiful wild nature of Nalibocka Forest. Sleeping bags and warm clothes are essential. Together we will setup two logs in trees and do the first spring check. In addition to log making, participants will learn about the trees suitable for making tree hives, how to choose a suitable place to hang a log hive, how to attract swarms to a log/tree hive, and gain basic skills in the use of the leziwo – the traditional rope with seat used by tree beekeepers in the former Polish-Lithuanian Commonwealth. Log making workshop. participants will work single or in pairs using a chainsaw and traditional tools to make a log hive out of pine wood. No sauna this time, unfortunately. The work will be carried out under the supervision of two experienced tree beekeepers. We will hoist one of the ready log hives into a tree and prepare some of our settled hives for winter. In addition to log hive making, participants will learn about the trees suitable for making tree hives, how to choose a suitable place to hang a log hive, how to attract swarms to a log/tree hive, and gain basic skills in the use of the leziwo – the traditional rope with seat used by tree beekeepers in the former Polish-Lithuanian Commonwealth. 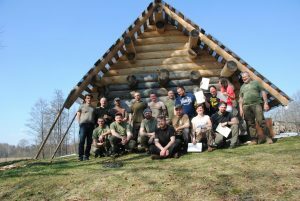 The workshop will be held at the forest ranger’s guest house, Lipiny, just a few hundred meters from the Belorussian border, in the heart of the Augustow Forrest. Sign up today, we’re waiting for you! In Krakow, on the 4th of October, 2016, delegates from Bractwo Bartne met with the Polish Minister of Culture and National Heritage. On this proud day, tree beekeeping (bartnictwo) became officially recognised as a part of the Intangible Cultural Heritage of Poland. The application was prepared by our organisation and Prof. Krzysztof Hejke. Tree beekeeping enjoys a more than 1,000 year old history in Poland. The golden era of this profession was from the Middle Ages up until the 16th and 17th centuries, when the territories of modern Poland, Lithuania, Belarus and the Ukraine formed one country and culture under the Polish-Lithuanian Commonwealth. However, since the 19th century, the tradition of tree beekeeping has been almost entirely replaced by conventional beekeeping. 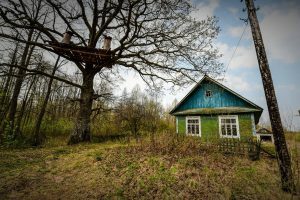 Despite this, the craft has survived in many remote villages inside Belarus. We have managed to find and check the few links that connect us to the bygone era of tree beekeeping, in what is today modern Poland. Together with Prof. Hejke we have located and interviewed the last remaining people from the Kurpie and Augustów Forest regions, who have preserved elements of their familial tree beekeeping traditions. These include living and working in harmony with and respect for nature and its laws. One of the people we located is Mr. Niemkiewicz from Augustow Forest. His father taught him a special kind of log hive beekeeping many decades ago. This is the only kind of beekeeping that his family know. Mr. Niemkiewicz joined us in Krakow on the day we celebrated the recognition of tree beekeeping as a part of Polish history, tradition and culture. Tree beekeeping (PL bartnictwo) is a set of practices, knowledge and traditions focusing on honey bees, their habits, preferences and behaviours. It is based on the belief that honey bees are better off living high above the ground and that man should not interfere in the development of the bee colony. Tree beekeepers hollow out the trunks of living trees (tree hives) or logs (log hives), so that bees can settle in them. Tree beekeepers seldom visit their hives – usually only a few times a year. The collecting and harvesting of honey is usually in autumn, traditionally after the nativity of the Blessed Virgin Mary (8th of September). Only a small amount of honey is collected, so that the bees can live from the rest. It is believed that only a righteous and honest man should take care of bees. The status of a tree beekeeper is therefore something to be proud of. 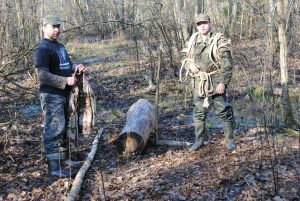 place to hang a log-hive, how to attract swarms to Your log/tree hive, and gain basic skills in the use of leziwo – traditional rope’s with seat used by tree bee-keepers in the area of Polish-Lithuanian Commonwealth. The workshop would be held in the forester\’s guest hose of Lipiny : just few hundrets meters from Bielarussian border in heart of Augustow Forrest. Cost: 160 EUR / person including accommodation, insurance, breakfast and lunch. Sign up for our Workshop by sanding email on fundacja@bartnictwo.com with Your details. As a feedback You will get instruction how to book Your place in it by doing partially advanced payment of 50 EUR. Lithuanians and Poles. What more important treebeekeeping never extinct there, till now there’s still more than 800 log hives on the trees across Belorussia. For our organization this is the source of inspiration, knowledge for our activities. This exhibition we also consider as a first step to officially recognize treebeekeeping as an part of our national heritage. Opening of the exhibition start at 15:00, and despite it was a middle of the working day it gathered about 150 spectators. For invitation of Bractwo Bartne plenty of people engaged in treebeekeeping from across Poland arrived: starting from Upper Silesia, Spala, Bialowieza National Park and Wigry National Park. There was even an beekeeper from Pinsk in Belorussia who came specially for this event. Among guest was many representing of beekeepers associations, delegations from Ministry of Culture and National Heritage, prof. Mariusz Grzegorzek rector of Lódz Film School and Wojciech Walulik mere of Augustow, one of the hubs of new days treebeekeeping in Poland. Exhibition is located on second floor of the museum and it’s consist from 2 big rooms and fragment of hall all together around 150m2. 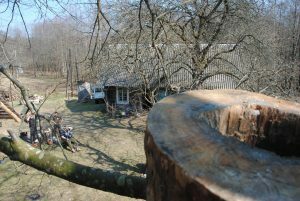 Expect photos showing treebeekeepers at work from those country while climbing, hanging loges or working with bees on the trees You can find there original log hives bring from North east Poland Lithuania and Belarusia as well as original tools and climbing equipment still in use in our East neighbours. Although on the exhibition we can find not only traditions but also very interesting shots from bees in the trees like rear photos of bees living in the natural hollowed in the lime tree made from inside the hive, and transmission broadcasted live from the log hive. All together the exhibition is wonderful journey through history, tradition and nature aspects of treebeekeeping.Exhibition could be seen in Warszawa in National Ethnographic Museum till 29th of February, later we hope to move it to other towns or if possible transferee it abroad with help of Tree Beekeeping Internationally.